SpringRock Gutters provides the highest quality gutters & Gutter Protection products with the best customer service. We offer free, no-hassle estimates while sparing you the drama of the sales pitch. 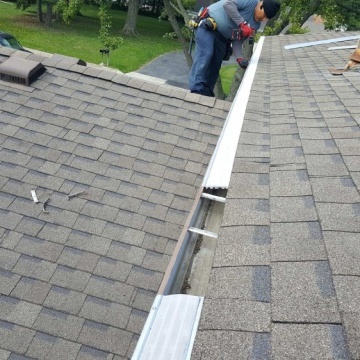 We offer seamless gutters custom made at your home or we can install our Gutter Covers right onto existing systems saving you money. 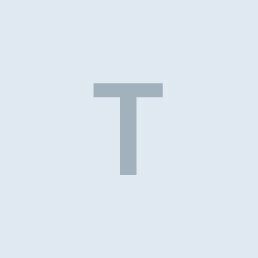 All workers are Springrock Employees. 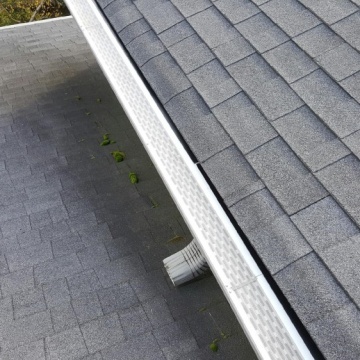 Our company installs gutter guards, which are made of surgical-grade steel mesh in order to keep out debris, including pine needles, pine cones, bird's nests, leaves, seed pods, and other detritus from the gutter but still allow for the flow of water through the gutter to prevent backup and keep the gutters clear. 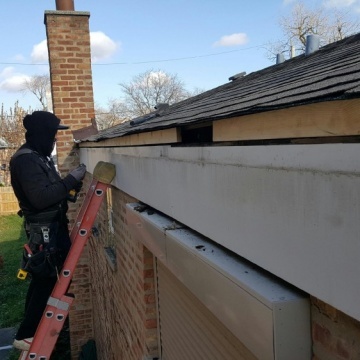 Springrock also installs gutters, which are integrated with their gutter guard systems to protect the roofing material and siding of the home and prevent leakage, seeping, and other problems that can occur with subpar gutters and gutter guards. 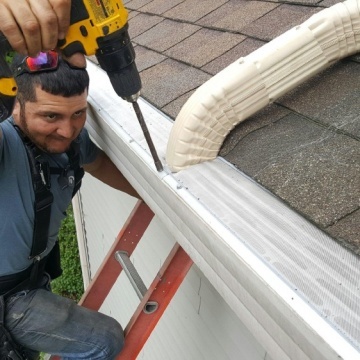 The gutter guards that our company installs have been estimated to last eight times longer than other gutter guards on the market, and do not require removal or reinstallation of the current gutters on the home. 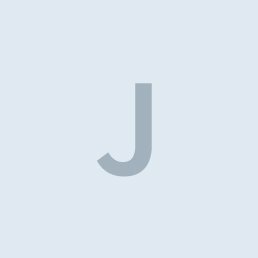 Had to come back multiple time to correct errors, but in the end were committed to my satisfaction. They were on time and things went really well. I am not likely to recommend Springrock Gutters to a friend. The gutter covers that they installed get clogged easily. The product did not perform the way that they explained it would. I did not have a good experience with Springrock Gutters. I had debris getting into my gutters. They cleaned everything and fixed my problems. They showed up when they said they would and did the job. Would not recommend the gutter covers for use in snow belt states because of snow melt causing icicles on gutter lips. I have no idea what the quality of the workmanship was. I can't get up there to check on the gutters. I have to take their word, that it was completed the way they said it was. Did the job while I was out of town. I came back and job was done and no mess at all around property. They did everything promised and at top of that list is they cleaned out gutters before installing the gutter guards. Highly recommend Springrock Gutters. I am happy with the gutter guards! I have several large oak and maple trees and I didn't have to go on the ladder at all. Everything just blew off the gutters. I have a large pine tree and all the needles just blew off the gutters. I had another gutter put on three years ago. While it looked similar, it didn't meet the quality standards of what I anticipated. 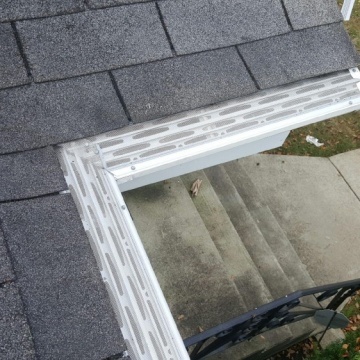 When I saw the highly technical design of this gutter guard, I thought it would do the job--and it did. It keeps my small locust leaves out of the screen. It extruded aluminum, so it's solid and it won't bend. There has been no visible accumulation and it has been maintenance-free.